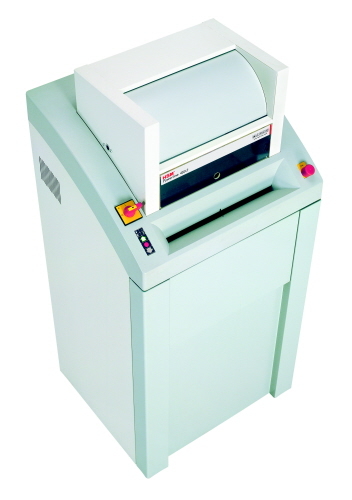 OREweb.ca® offers several HSM High Capacity Shredders for large volume and large format office document destruction. Whether in used in waste/disposal rooms or large departments, you'll find the right model for your needs! 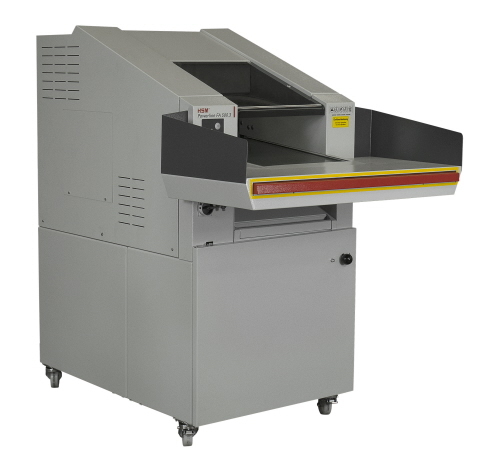 These commercial business shredders by HSM are designed for high capacity and large volumes of data destruction. 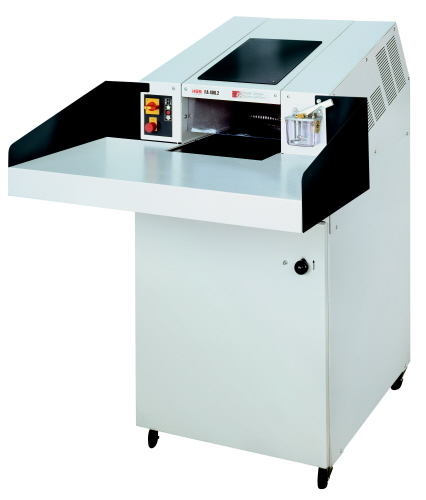 Used in warehouse, waste/disposal rooms, or for large departmental shredding where volume data destruction is required. Along with HSM's model line-up, OREweb.ca® has specialized in document and data destruction for Canada for over 15 years. We carry several well known and trusted brands of commercial shredders for business and industrial use! 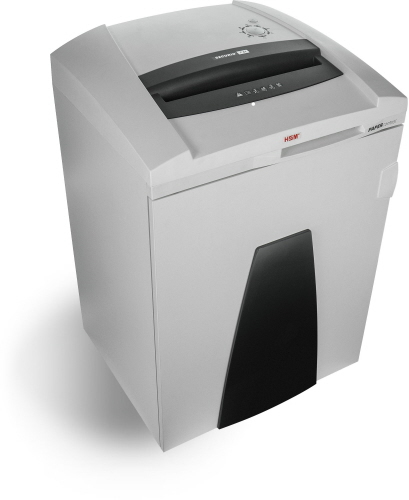 Ideal for entire departments and office floors, this mobile shredder features optimized cutting device technology that destroys 28 to 30 sheets of paper, creating 2,116 micro-cut-confetti-cut particles per page. It also shreds staples, paper clips, credit-store cards, CDs-DVDs and USB sticks. Optimized cutting device technology destroys 80-85 sheets of paper, creating 345 cross-cut - confetti-cut particles per page. Obliterates large quantities such as archives and bulk storage. Material feed via electronic conveyor belt. Automatic oiler provides for consistently high cutting capacity.